Brimming with colour and vibrancy, the house we will inspect today is sure to cheer up your day and make you long to brighten up your own home as well! 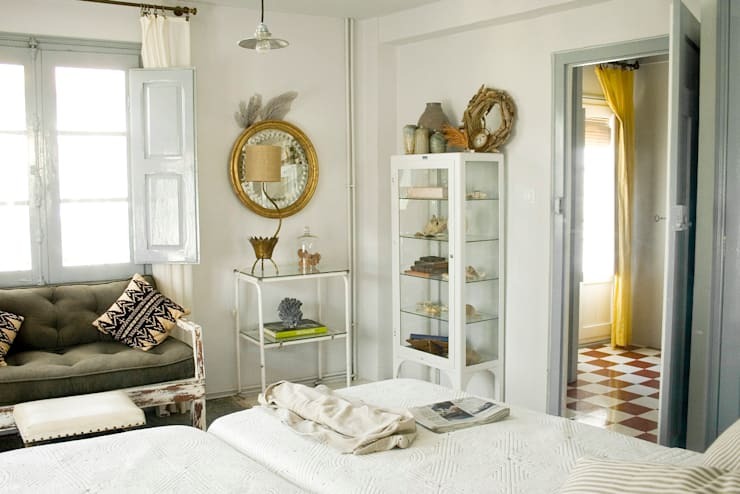 The lively dwelling is, in fact, a Bed & Breakfast in La Roija, Spain, and we are sure that it has no shortage of visitors whatever the season. The interior architects responsible for the project are Casa Josephine, who are based in Madrid. We can see that they carefully considered the context, function and character of the business to design the interiors, and we certainly think it has been a great success. Join us now for a little trip down to northern Spain to explore this warm-hearted and joyful home away from home. You might not want to come back! The exterior of the Bed & Breakfast we can see in this image is already very promising. The white walls are traditional, but fresh. Exactly what you'd expect from a seaside home or tropical retreat. This effect is complemented by the old style wooden shutters we can see on the door and windows. It is clear that the owners of this establishment wanted to ensure that the building has an inviting and lively appearance. 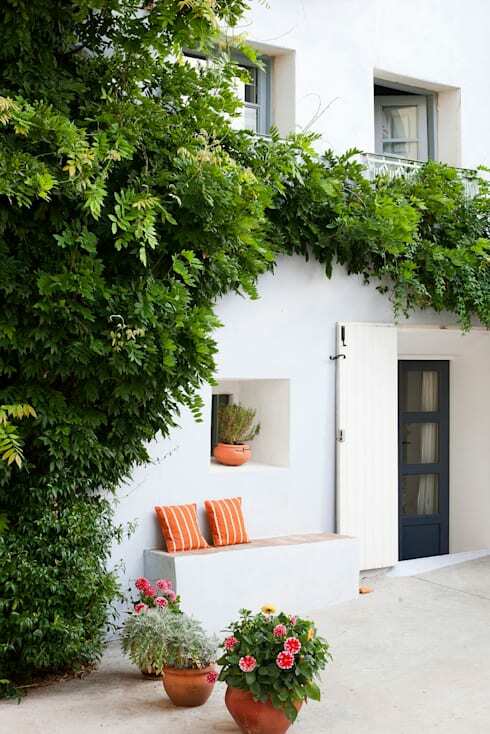 This has been done mainly by incorporating plenty of natural elements, as plants dominate this side of the exterior. This lends some freshness to the composition and sets the tone for the interiors. Now on to the inside of the home. Our first impression is definitely not disappointing, with this eclectic mix in the foyer of the building. A series of styles are combined to create an inspiring and fun composition. 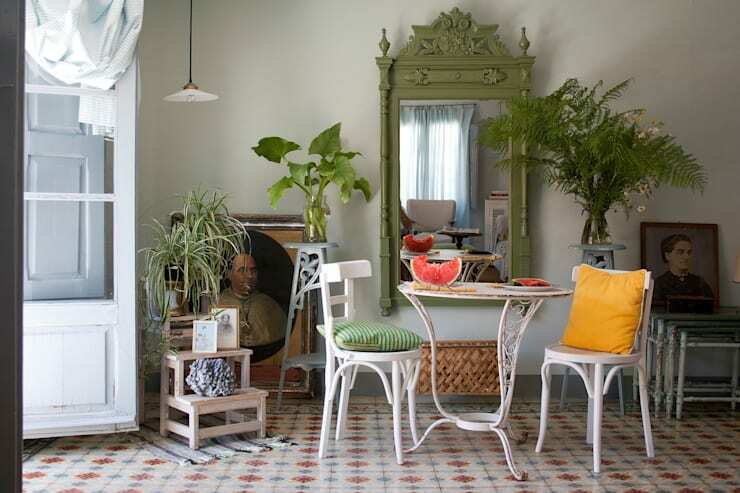 we can see topical elements combined with vintage features to ensure interest in every corner of the space. The interior architects used a series of colours in the area to ensure a cheerful atmosphere, but the colours are not too bright or intense, just a little subdued to make sure that a relaxed and cool feeling prevails. The white, wooden furniture forms a solid foundation for the decorations in the room. Let's move up to the higher levels of this house to see what the more private areas have to offer. Firstly, however, it is well worth our time to pause at the top of the staircase to appreciate the path itself. This playful staircase design creates an interesting visual journey from the very bottom all the way to the top. The simple colours provide just enough variation to ensure a fun and dynamic design, whilst still being stylish and not too distracting. 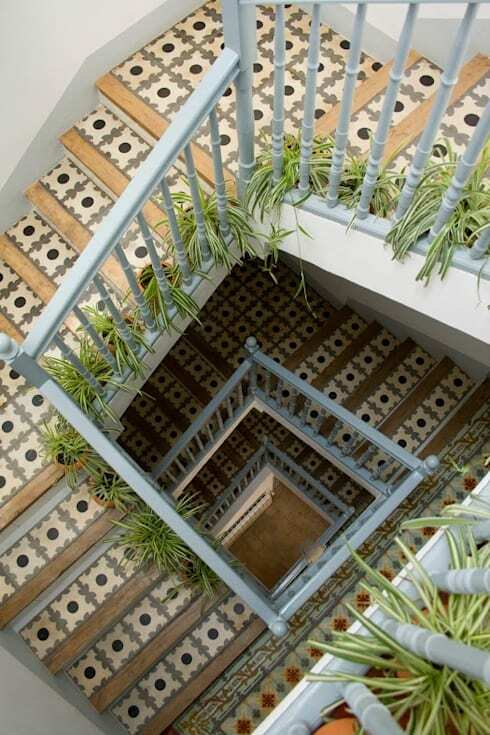 In addition to the stair tread pattern, we can also see a range of potted plants along the banister of the staircase, bringing that strong natural element to the interior and freshening up the area. In this image, we can see a less colour-focused, and more toned-down and elegant room. The designers clearly monopolised on the white space, adding minimal furniture, but filling the space out with a whole range of decorative objects, none of which seem out of place. This is a great feat, as we can see that many of the objects are vintage and possible inherited, and coordinating the ensemble to work this well takes a keen and trained eye. The metallic touches add a level of sophistication which is counter-balanced by folk style elements in the upholstery. Lastly, we sneak into one of the bedrooms of the establishment to see what a guest may expect when coming over to stay the night. We already know that the common areas and social spaces are superbly designed and coordinated, but what do the more private spaces hold? There is definitely no disappointment in here, as we are greeted by a bright and beautiful bedroom. The entire lower half of the room is coated in red, and blue accents contrast with this in the best way. Minimalist furniture and large prints on the wall place this space firmly on modern footing. 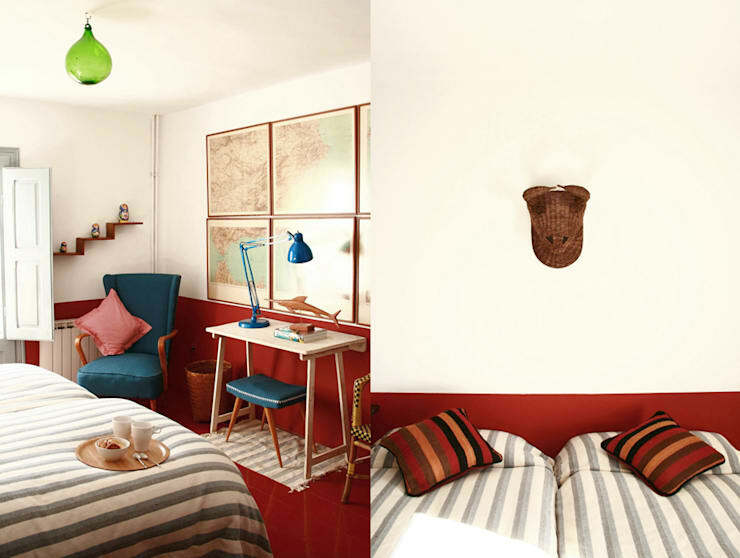 Now, this red bedroom is certainly a bold move, but it pays off. If you're thinking about colours for your own bedroom, take a look at: How the different colours can influence this specific space. Let us know what you thought of this project in the comments!